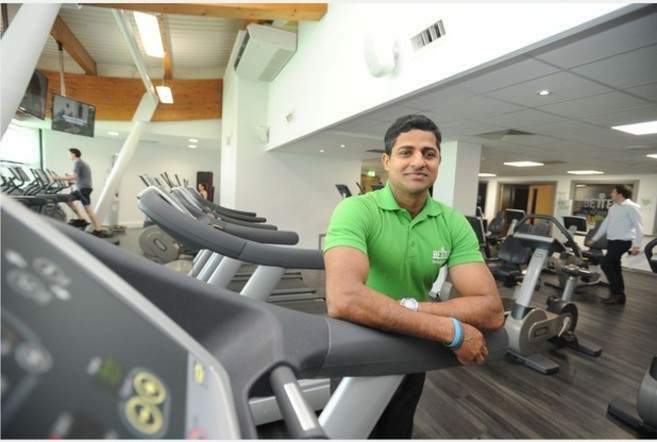 PT Instructor Rojimon Cherian has just finished a fitness session with one of his clients at Better's Parkside Pools and Gym in Cambridge. Nothing out of the ordinary about that, you might think. But father-of-two Rojimon is visually impaired (following an 8 hour operation to remove a brain tumour) and his client is paraplegic. Just over two years into his new career role, the 45-year-old is riding high on success - having just won ‘Champion of the Year’ at his employer’s staff awards, at the BT Tower in London. And has even bigger plans regarding Tokyo 2020. He still loves his job as an InstructAbility PT - a Sport England-funded project, managed by charity Aspire - that offers gym instructor training and voluntary work placements to unemployed disabled people. He is also passionate about the difference it’s making to improving access to physical activity for disabled people. “It’s the perfect job for me because I’ve always been interested in health and fitness. Now working 39 hours a week with clients who need core strength and conditioning, Rojimon loves to incentivise others. His clients have a variety of conditions - including paraplegia and vision impairment - but share the same desire to do more, and get more active for their health and wellbeing. Colleagues who work with Rojimon are full of praise for this work ethic. 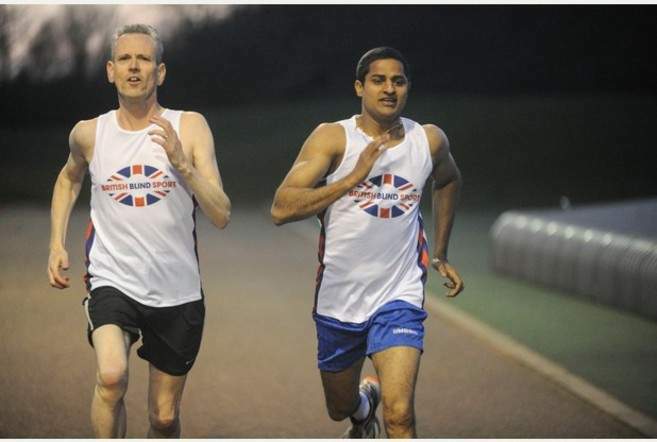 As well as being a PT, Rojimon is a runner – having competed in the Hitchin Half Marathon (2012), 10k, and The London Marathon (4 hrs 35 mins) with his running partners Joseph Tucker and Richard Patterson and picked up Gold Medals at the Metro Blind Sports Athletics Open in London. He still trains at Cambridge Uni Athletics Club in Wilberforce Road. His goal is now the Tokyo Paralympics in 2020. “I’d love to represent Team GB in Tokyo. “It’s a different training cycle for the Paralympics, so I’ve had to drop the tennis and goal ball I was doing before. To keep fit, Rojimon does Total Body Conditioning and PowerPump at Park Side. Plus regular running sessions on the treadmill. What’s next for this powerhouse of positivity? “There’s a lot in the media about the inactivity crisis in the UK and the timebomb of health problems we are storing for the future. “But I think disabled people – even more than the general population – are at greater risk of obesity because they often move less. This can lead to illnesses that compound their conditions causing further impairments. “It is essential that disabled people eat well and do as much exercise as they can – for both their mental and physical wellbeing. Rojimon is also on a mission to take his ‘get active’ message to a new, wider, audience. “Ideally, I’d do a PhD on this subject but I might also write a book.”, he says.